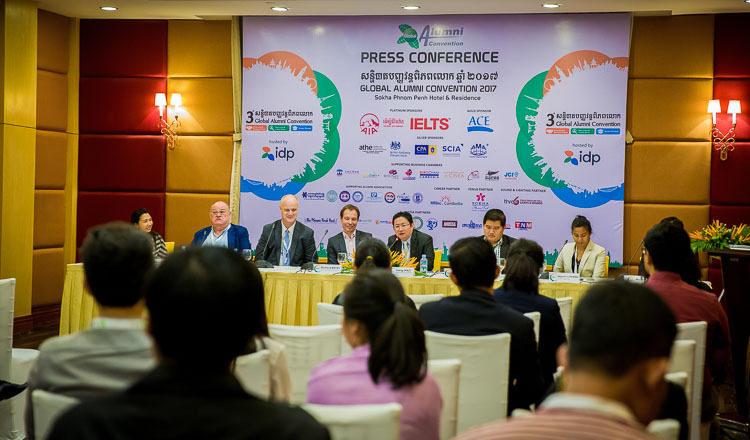 Cambodian graduates from overseas institutions and international experts will share insights on economic growth, business planning, industry and agriculture and information and communications technology at the upcoming Global Alumni Convention (GAC). The two-day event, which will take place from November 17 to 18 at the Sokha Hotel in Phnom Penh, is expected to draw in more than 500 participants, who will be involved in a slew of workshops and conferences, including an education forum, a career fair and an education expo. GAC seeks to show the impact graduates have on national human resources development and the recognition they enjoy at the highest level of government and industry, according to Mao Sreng, the country director of IDP Education, the event organiser. “It is an excellent platform for companies looking to recruit graduates from local or overseas institutions,” he said. “GAC also focus on the changes that markets all over the world are experiencing, as well as the skills needed for boosting economic growth. The annual convention series brings together graduates from Asean, North America, Europe and other regions of the world to network and share ideas with decision-makers and leaders from the public and private realms. 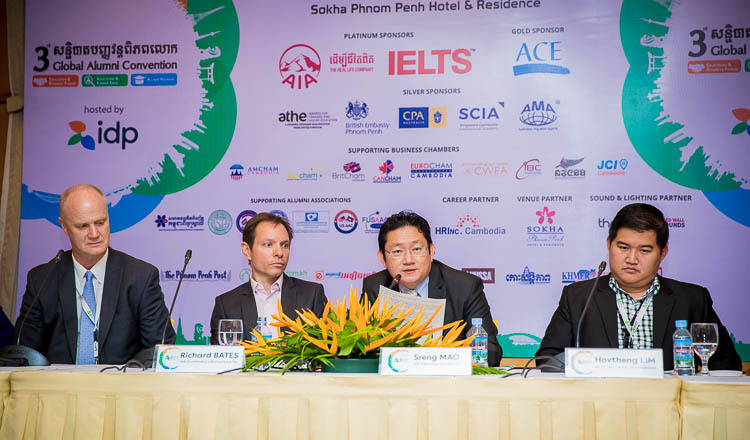 One of the main events of the weekend will be a global education and business forum, which will consist of a series of moderated, interactive panel discussions focusing on Cambodia-related topics. The career expo, another central event, will afford students and people seeking to further their careers the opportunity to meet with representatives from educational institutions and companies to network and learn about possible scholarships and job openings.